The Health Unit officially opened on July 1, 1947 to serve the municipalities of Leeds and Grenville. 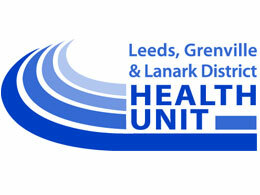 In 1967, Lanark District joined the organization, which then became the Leeds, Grenville and Lanark District Health Unit (LGLDHU). Learn about the history of the Health Unit. The LGLDHU covers a 6,329 square km area in Eastern Ontario, with a population density of 25.7 people per km. The southern part of our area borders the St. Lawrence River between Kingston and Cornwall, extending north into the Ottawa Valley. The population of Leeds, Grenville and Lanark is 170,205 people, the majority of whom live in a rural environment (58%). Our total budget is approximately $12 million (in 2010), received mainly through general funding cost-shared by the province and local municipalities on a 75:25 ratio. We also receive some 100% provincial funding, which adds to the base budget and staff complement.